Building Your Family, published by New Hope Media LLC, is designed to provide educational information about a range of topics in infertility and adoption as well as simplify your search for a trusted fertility or adoption professional. The contents of Building Your Family (graphics, images, words, and other information) are for informational purposes only and are not a substitute for medical guidance or professional advice by attorneys or infertility and adoption professionals. Reliance on any information provided by Building Your Family, or others appearing on the Website is solely at your own risk. Building Your Family makes no claims as to the accuracy of the information contained at the websites of our sponsors and is not responsible for the content of the information provided. Building Your Family encourages consumers to fully investigate any family-building option considered. Under no circumstances will Building Your Family be held liable to any third party who may choose to rely on the content in this website. Building Your Family does not recommend or endorse any specific infertility tests, lawyers, physicians, products, procedures, opinions, or other information that may be mentioned on the Site. Reliance on any information provided by Building Your Family, Building Your Family’s employees, others appearing on the Site at the invitation of Building Your Family, or other visitors to the Site is solely at your own risk. Building Your Family contains paid advertising and paid professional listings. We do not control the advertising content and our editorial content is free of any commercial influence. Building Your Family does not endorse any resource or directory listing on this website. Listings are paid advertisements. It is your responsibility to research professionals or resources found on this site and to decide whether they are appropriate for you. 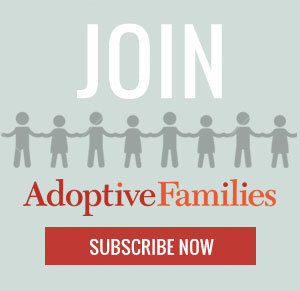 Building Your Family is not responsible for any potential harm or any problems related to your use of the information in the adoption and ART professional listings. In some states, licensing is not required for specific professionals or agencies such as sperm/egg brokers and adoption agencies. Consumers are strongly advised to investigate non-licensed professionals and agencies by using resources such as Building Your Family’s Fact Sheets and Questions to Ask as well as any state consumer affairs office. By using this directory, you agree to this disclaimer and agree not to hold Building Your Family responsible for any wrongdoing.